Courtesy of Bombas‘You have to remind yourself that it’s a television show.’ Randy Goldberg (left) and David Heath pictured. The founders said they didn’t take the investors’ insults personally because they knew it was all in the name of good TV. 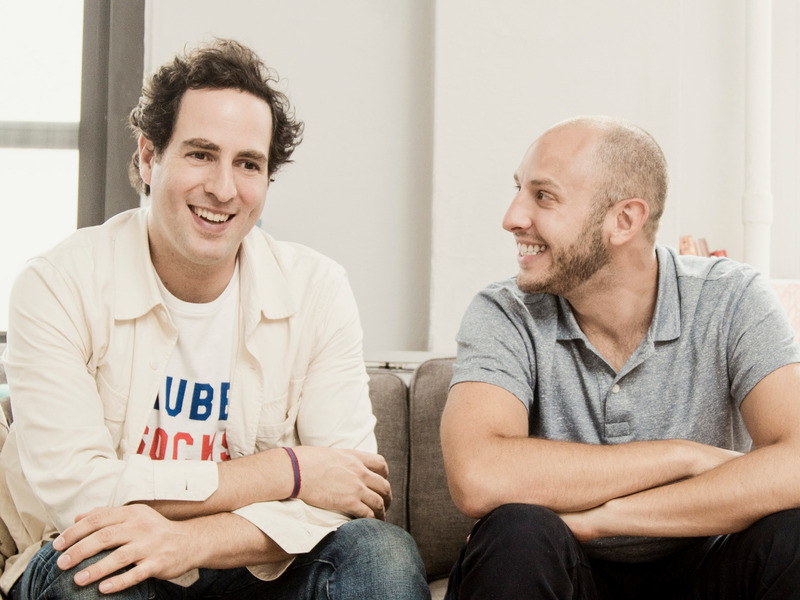 Heath is the cofounder, along with Randy Goldberg, of sock company Bombas. In 2014, they appeared on an episode of “Shark Tank,” ultimately landing a deal with Daymond John: $US200,000 in exchange for 17.5% of their company, plus the financing of the inventory. Like most interactions in the tank, the back-and-forth between Goldberg, Heath, and the sharks back in 2014 was intense – notably more so than your typical investor meeting. But the Bombas founders said they weren’t especially fazed. O’Leary added that Bombas had no market share or retail exposure yet. Goldberg and Heath said they couldn’t help but laugh when O’Leary likened them to insects. “We thought it was really funny, that it was a really funny comment, rather than being like, ‘Oh, we’re so offended that you called us a ‘sock cockroach,'” Heath said. The Bombas founders were similarly tickled when the TV promotion for that episode of “Shark Tank” came out. There’s a clip of Goldberg dabbing perspiration from his face with a napkin – it looks like he’s cracking under pressure. But Goldberg told me that moment really happened before the Bombas founders delivered their pitch, when they had to stand under the hot lights for 30 seconds.